So happy that I purchased this pair of "fresh" pants while I was in New York. They "scream" S P R I N G and so do I... I'm ready for you!!! This outfit was put together as a result of my desire for sunny and warm days, blooming trees and relaxing mood... do you see the picture? I do! Absolute perfection!!! Adore the pants!!! say WOW big WOW to your pants !!! love your outfit! so bright! 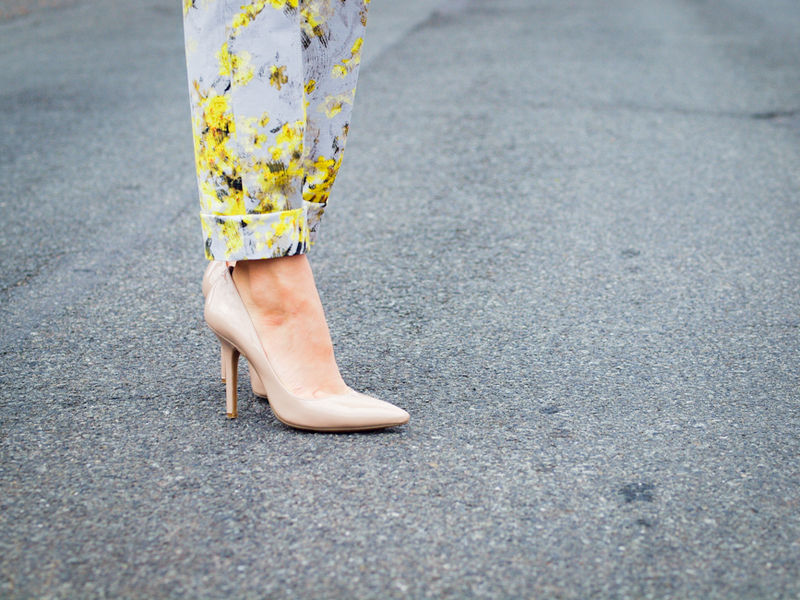 Def feeling spring in this look. Love it. Pulsing with Spring look! Inspired and so cool! I love this color, you look gorgeous! 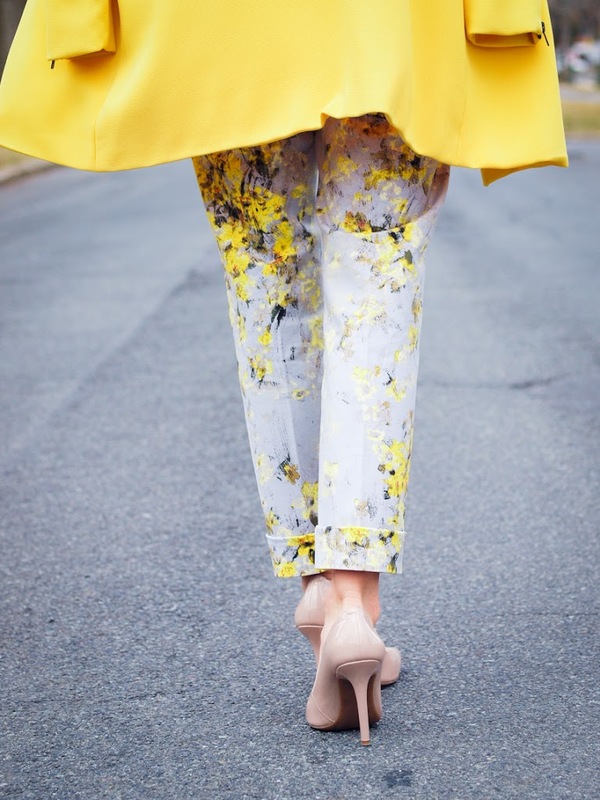 this is what i love about spring….prints, color and all around awesomeness!!!! 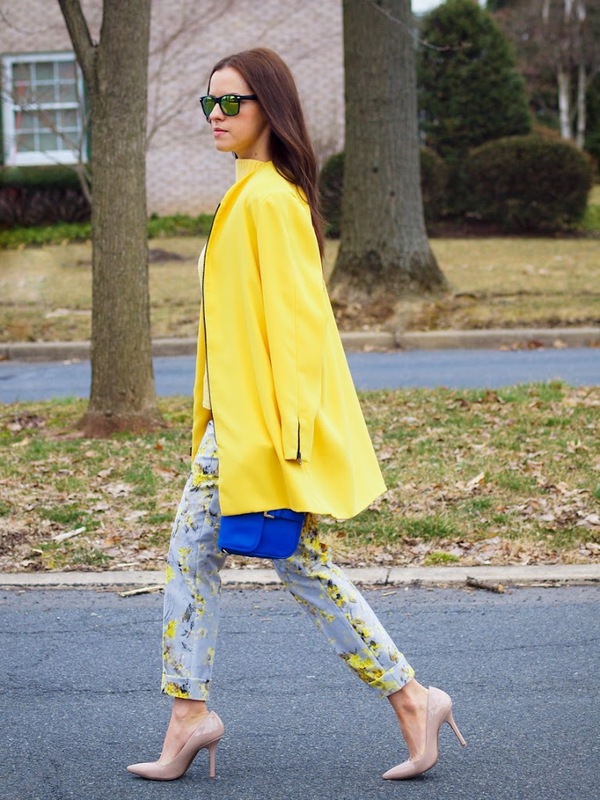 Love the pants….. Me too, I cannot wait for Spring to be here! Gorgeous trousers! 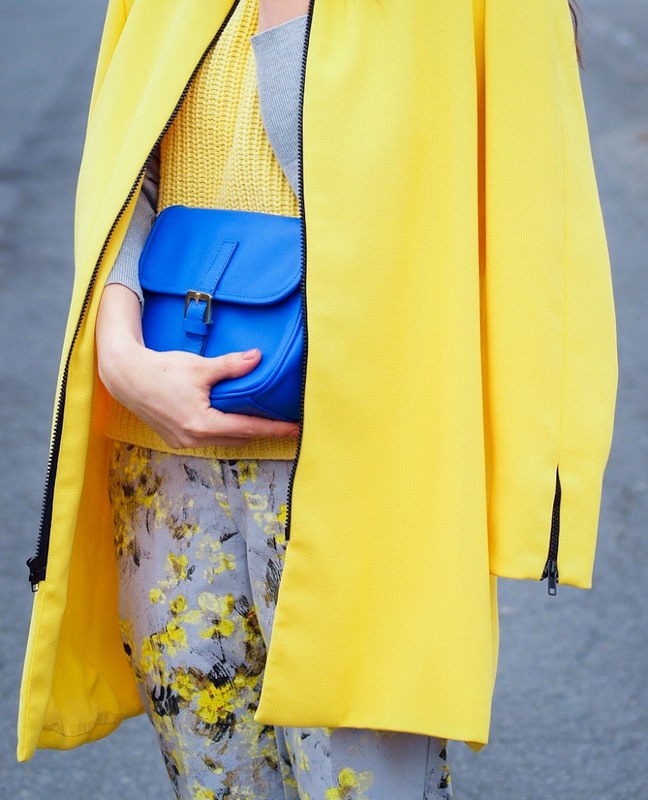 I love the elegant yellow+grey combination. You are awesome!!!!!!!!!!! Following you!! I have these pants too! I love how you paired them with yellow! I wish spring would get here already! I hope you are having a great start to your week!